Jefferson County Public Library will be the essential destination where all generations connect, discover and create. 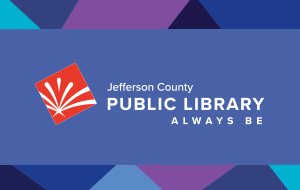 Jefferson County Public Library helps to build an educated and vibrant community by providing equal access to information and opportunities. Our core values are Innovation, Accountability and Excellence. Innovation – we collaborate, evaluate and continually improve. We are creative and flexible. We take risks, embrace change and look for opportunities to say yes. Accountability – we are committed and honest. We participate and communicate. We take personal responsibility, provide follow through and build trust. Excellence – we are positive and productive. We perform with purpose to transform lives. We focus on quality, consistently aim high and deliver outstanding results.